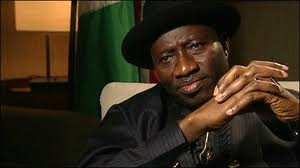 President Goodluck Jonathan, President of the federal republic of Nigeria on Saturday gave out cash reward to the succesful athletes of the just concluded London 2012 Paralympics Games and the Super Falconets who came fourth in the FIFA U-20 Women world cup in Japan. The President who hosted them in Abuja, commended them for making the nation proud with their dedication and promise to always support them. The President also promise to see to it that Sport is repositioned and taken seriously with modern Sport facilities put in place and maintaining the ones available. He also noted that the welfare to athletes is uttermost and that the Government will always support them. The six Gold medalists are to get sum of N5million naira each and they will awarded with national honours of the MEMBER OF THE ORDER OF NIGER (MON). Those who didn't win any medal will receive N500,000 each while the officials will receive N2.5 million. For the Super Falcons, all players will receive N1 million each while the team officials will get N1.5 million.